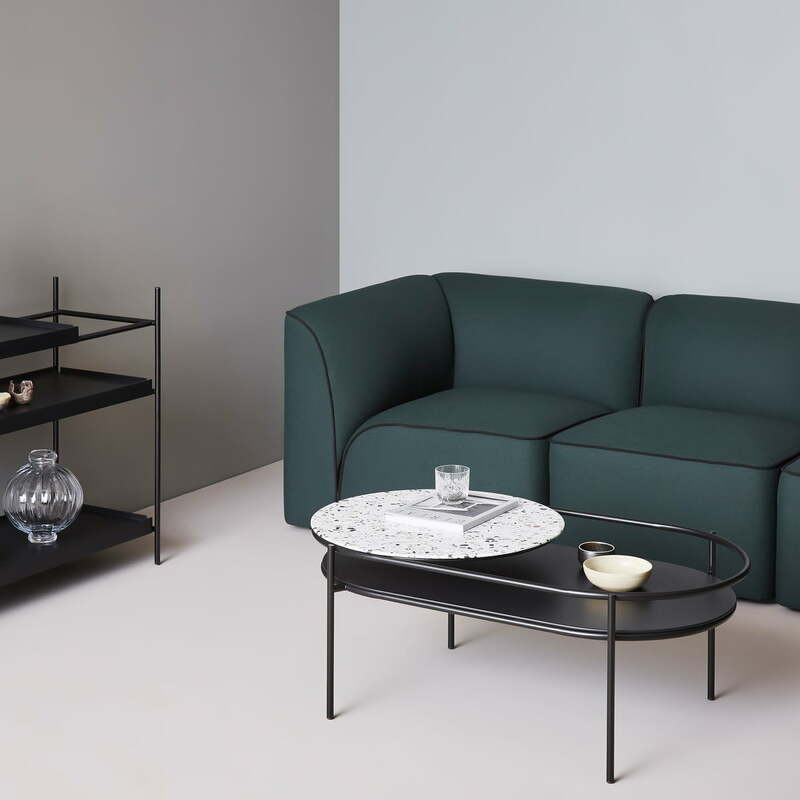 The Verde coffee table by Woud consists of an oval metal construction with two table tops. 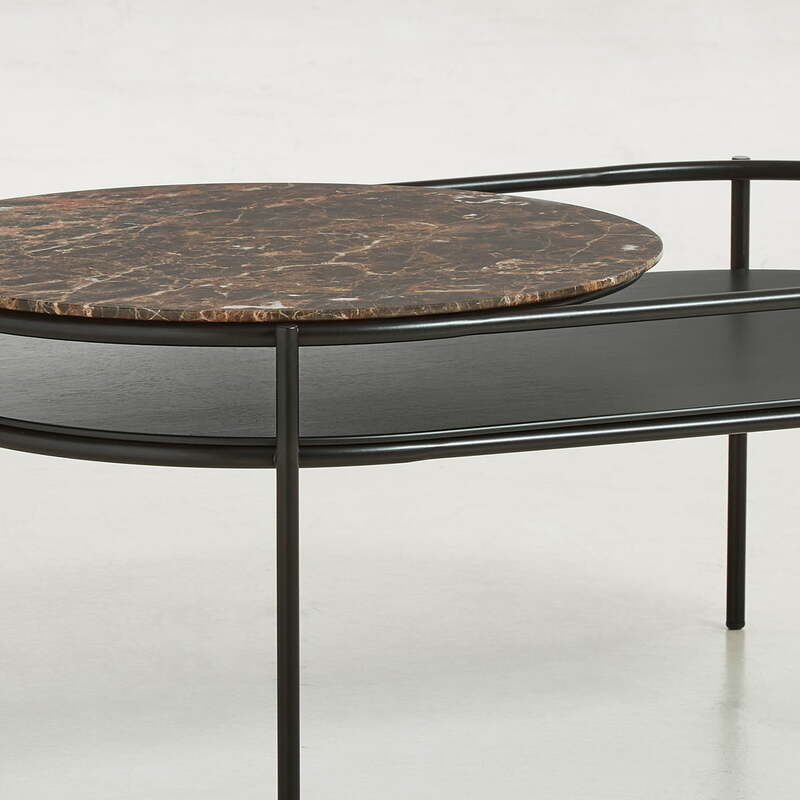 The lower oval is in lacquered oak veneer and the upper round top in black or brown marble or white terrazzo. The space on the two plates is ideal for flowers and plants. Lush bouquets, individual flowers and potted plants can be stylishly presented on the coffee table. Rikke Frost wanted to create a space for nature with the table. This is a simple way to create a green environment in the living area. 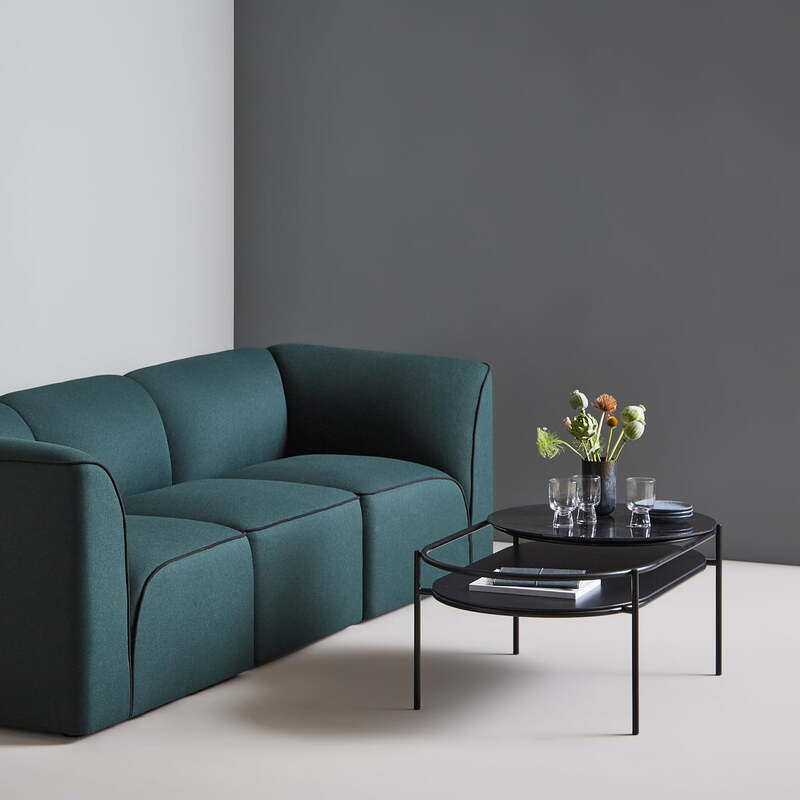 The Verde coffee table is available in different versions. 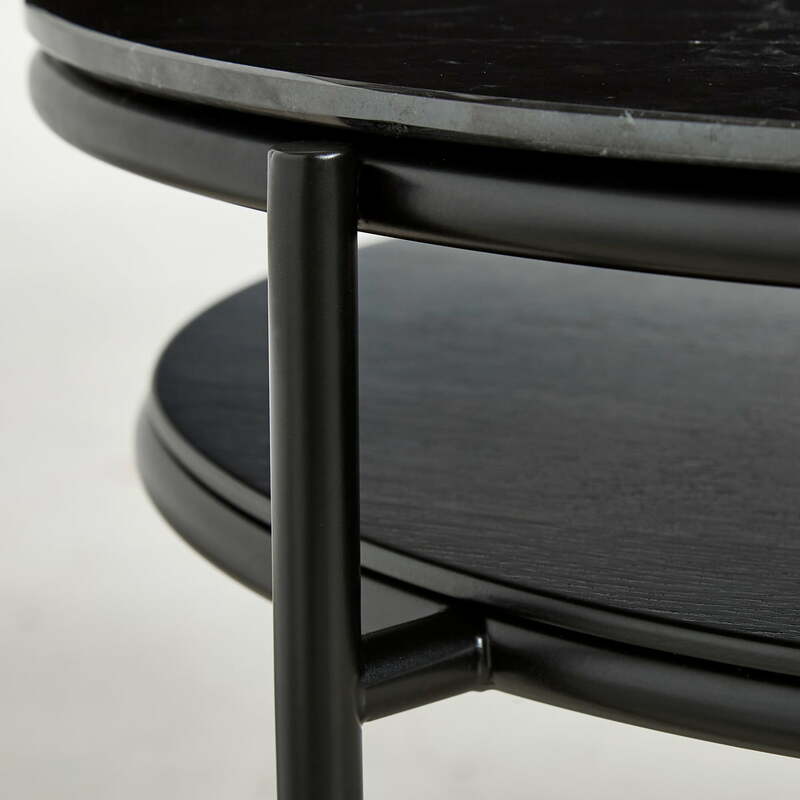 The Verde coffee table from Woud in detail. 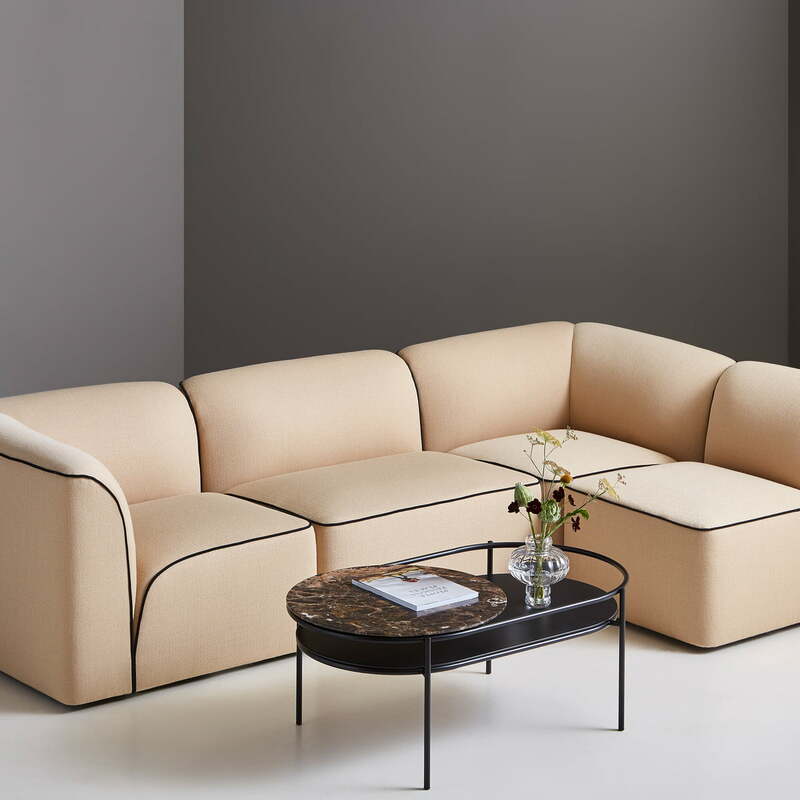 The Verde coffee table by Rikke Frost for Woud consists of an oval metal construction with two table tops. The space created by the two panels is ideal for flowers and plants. Lush bouquets, individual flowers and potted plants can be stylishly presented on the coffee table. The Verde coffee table from Woud in Terazzo is white in the ambience view. The white Terazzo plate stands out decoratively from the rest of its surroundings. 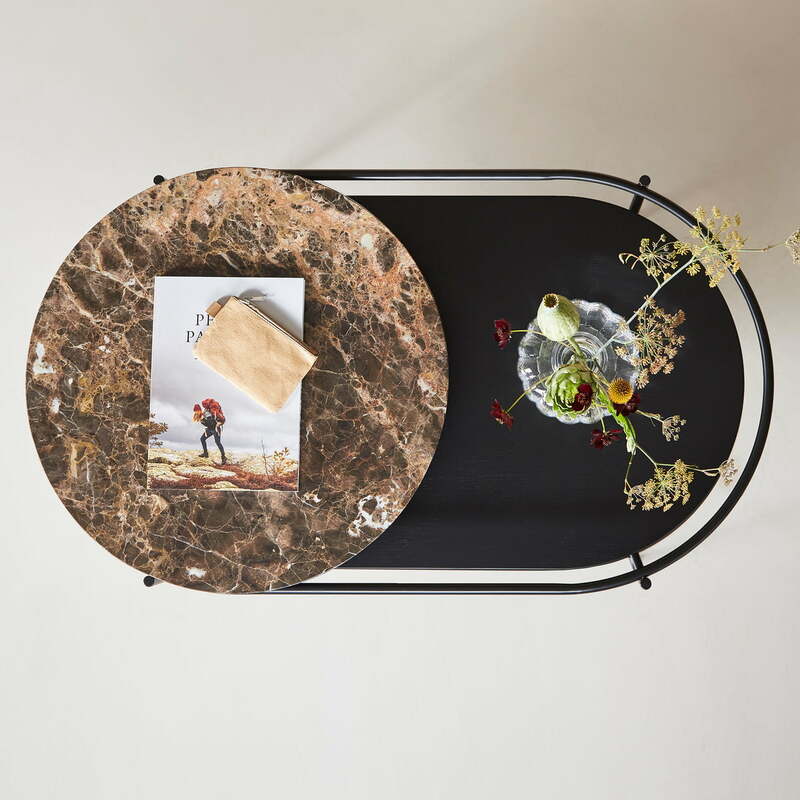 The Verde coffee table from Woud in marble brown in the ambience view. 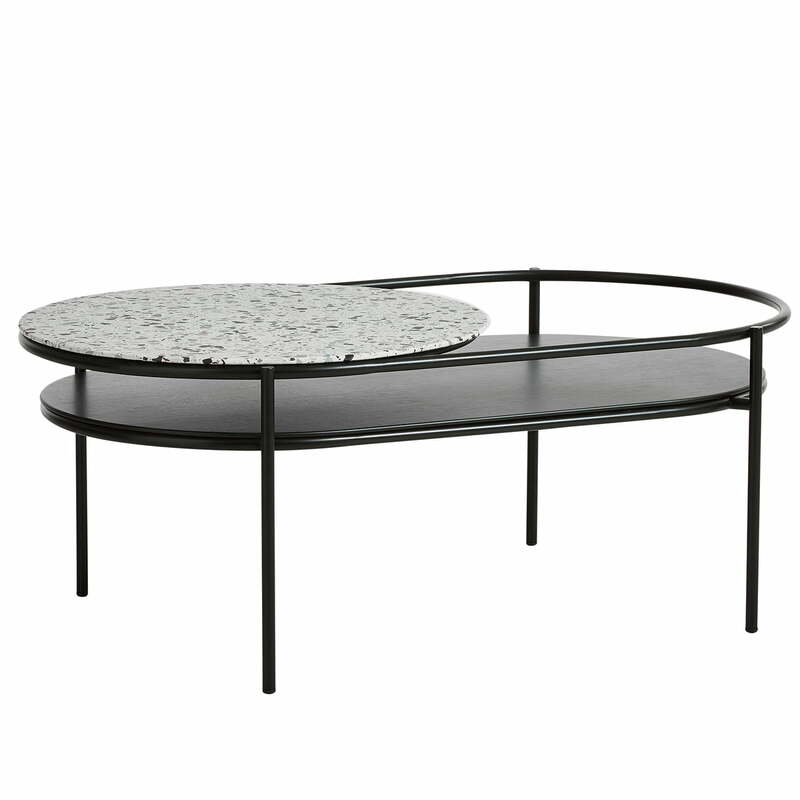 The Verde coffee table by Woud consists of an oval metal construction with two table tops.